The Charity, Friends of North Lodge Park Cromer, is managed by a management committee, who look after the daily operations of the charity, and a board of trustees who stand-back from the day to day to oversee the charity to ensure it remains sustainable and relevant. The cafe is operated as a company limited by guarantee, managed by a board of directors; all cafe profits are donated to the charity. Barry Meadows, retired project manager with considerable experience of managing large multi-disciplinary projects. Skilled in project management, quality management, customer focus, and administration. As secretary of the charity, Barry applies his skills alongside his passion for the Park to make sure nothing falls between the cracks, and uses his technical knowledge to keep the online profile of the charity up to date. 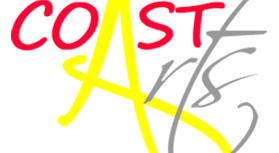 Also a trustee of Coast Arts, Barry has a passion for outdoor theatre and works with local theatre groups bringing this and other events to the Park. Barry is a trustee, cafe director and cafe volunteer. David Sales, retired company director. After university, David formed a specialist engineering supplies company in London, representing several major international manufacturers, supplying well-known domestic companies. He successfully grew the company and led it to ISO9001 quality accreditation. Involved in concomitant financial controls and personnel matters. David is a key volunteer in the cafe, and is passionate about the cafe, its development, and its community role. Emma Dale Emma has 28 years’ experience of Primary to Senior teaching; leading Departments, planning at Senior Management level and mentoring trainee and newly qualified teachers. She now runs her own painted furniture business alongside her continued passion for teaching music and performance. She has directed numerous concerts, musicals and plays and leads choirs, instrumental groups and workshops both within schools and local communities. A founder member of the Friends, Emma is involved in event planning, music productions and creative projects as well as helping with the running of the cafe, as a cafe director, volunteer and baker. Jim Bond Qualified architect with over 40 years experience, working in both local authority and private practice, with over 20 years self-employed. Projects include residential, community, education and commercial; village halls including initial scheme proposals and costings for grant applications; designing soft and hard landscaping proposals for public domain spaces. Jim is a hands-on architect undertaking self-build houses and extensions. He is Chairman of Cromer in Bloom, providing ‘greening’ of otherwise neglected areas throughout the town, and public gardens. Former Cromer Town Council Councillor and New Year’s Day Fireworks Committee Chairman. Wheelchair user due to accident 6 years ago, giving a greater understanding of access issues. Paddy Bennett. delivery courier and events steward for various local outdoor events. Paddy is treasurer to local charities both large and small. Paddy has a passion for working within the community and especially with children and young people and has been a church youth worker leading their audio-visual presentation service. Paddy has a youth work qualification and is studying book-keeping and accounting. John Morgan Government Information Service civil servant, first Publications Editor Woolwich Building Society, North Lodge Park putting attendant 2011, operated Cromer putting and pitch’n’putt greens 2014-17. Freelance writer, designer, editor since 1989. Local publishing and PR initiatives for Cromer Town Council, Cromer Regeneration, Folk on the Pier, first Crab & Lobster Festival. Fellow Institute of Internal Communications, European Diploma of Honour. Cromer Town Councillor 2003-7, candidate for North Norfolk District Council and Norfolk County Council. Founder member Friends of North Lodge Park and current Charity Trustee. Robert Dale Bsc(Hons) CEM DipFM FRICS FCABE IMaPS (phew!) Senior Partner of Daniel Connal Partnership; a practising Chartered Quantity Surveyor and Chartered Building Surveyor with 30 years’ experience in industry and 20 years’ of running a business. Robert is one of the founding committee members of the Friends, bringing property advice to the group as well as sausage rolls, which he bakes for the café at the weekends. Robert is a trustee, and cafe director. Rosemary Price Long career in teaching specialising in children with additional needs, including a spell in a five day boarding school for moderately disturbed children. Involved in setting up education department at RSPB Minsmere and ran education department for 10 years, putting together programmes suitable for children in key stages 1,2 and 3. Owned and ran old coaching inn, with a two rosette restaurant for twenty years. Founder member of Friends of North Lodge Park. Samantha Annison our Chair Person, grew up in Cromer, attending all 3 local schools. Samantha is a people person, well known in the local community and passionate about making sure the improvements to North Lodge Park are enjoyed by the town’s future generations. Samantha has strong planning, organisational and administrative skills, gained through her work in the insurance industry. Samantha has been a parent helper at the Infant School, a Parent Governor at the Junior School and is a member of the town’s Crab and Lobster Committee. Samantha moved to Sheffield in her early 20’s, before returning to Cromer to raise a family, drawn by the amazing community spirit of our truly unique little town. Valerie Boon Retired Principal Lecturer, Head of Design & Marketing (UEL) following/alongside a design and buying career in the fashion industry and consultancy projects for major retailers plus academic adviser/external examiner to various UK universities. Valerie has written regularly for a North Norfolk magazine promoting the locality and the community she has come to love. Current voluntary roles include being Fundraiser for Cromer Christmas Lights, Treasurer for the Garden Society and being a dedicated volunteer for the cafe and baker/organiser of the Pop-Up cafe supporting events in the Park. Val McCampling: Retired nurse working with elderly people in nursing homes and private care. Val has worked with Brownies, Guides Cubs Scouts and Church organisations that run outside events. Val is passionate about gardening and baking. Val’s physical disabilities and hearing problems don’t stop her leading the gardening volunteers and baking cakes for Coeliac and Dairy free customers. Richard Dylong: Currently a self-employed landscape gardener, married to Rachel, both avid gardeners and currently living in Wymondham. Richard and Rachel have opened their garden for various charity events, including the National Garden Scheme, for many years. This culminated in being shortlisted to the final twelve, out of 2500 nationally, for the Daily Mail’s Best Amateur Garden competition. Richard’s past career’s have been within the managerial, technical and safety aspects of the building and construction industry.